You are here: Home / Big Bear Neighborhoods / Moonridge Is The Location Many Buyers Prefer. Moonridge Is The Location Many Buyers Prefer. There are many reasons buyers pick Moonridge as the location they want to own a primary or second home. Maybe it’s the proximity to Bear Mountain Ski Resort, the Moonridge Zoo, the Bear Mountain Golf Course, Snow Summit, Shopping Centers, Restaurants and the National Forest. Moonridge truly has it all, it might be the abundance of tall Pinion Pines, or the mountainous terrain that let’s them know they are not in the city. 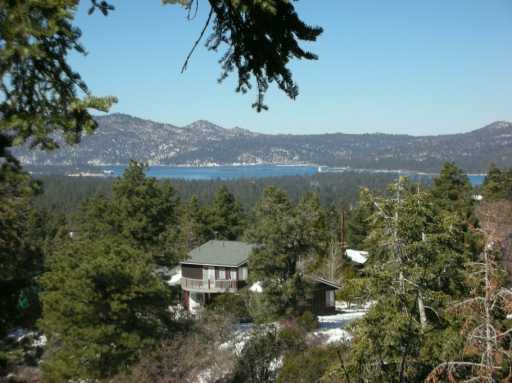 Many Moonridge locations have ski slope views or lake views that are not available in other areas of Big Bear. Moonridge has winding roads that give the lots unique shapes and no two lots feel the same. You really need to be with someone who knows the area, or you’ll get lost in Moonridge. There is a large range of homes in different sizes and price ranges in Moonridge. You’ll find homes starting in the mid $100,000’s and up to $6,500,000, which is a wide range that will fit for most buyers. Some of the smaller homes are only 500 square feet, and the larger homes are up to 5000 square feet. There are many neighborhoods in the Moonridge area. Some of the areas that are popular are Lower Moonridge, Upper Moonridge, and High Timber Ranch. As a resident of the Moonridge area since 1990, I can help you find a perfect home in this desirable location.